WWT supports a number of assessments of the status of waterbirds and other wetland biodiversity, through the provision of data and species expertise. The most significant recent assessment of the UK’s biodiversity was the 2nd comprehensive State of Nature report, published in September 2016 by a large consortium of wildlife conservation NGOs, including WWT and led by the RSPB. 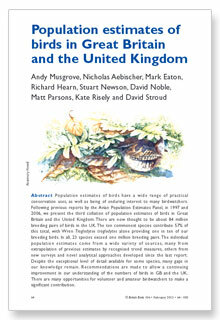 This assessed the trends of around 4,000 species and carried out Red List assessments for nearly 8,000 species. This showed that between 1970 and 2013, 56% of species declined, with 40% showing strong or moderate declines, whilst 44% increased, with 29% showing strong or moderate increases. Between 2002 and 2013, 53% of species declined and 47% increased. Overall, 60% of the species assessed have declined over the past 50 years, and 31% have declined strongly. Furthermore, 15% are extinct or threatened with extinction from Great Britain. This provides a stark reminder of how much needs to be done to halt the loss of biodiversity in the UK and meet our obligations under the Convention on Biological Diversity. The full report, and more specific national reports, can be found here. 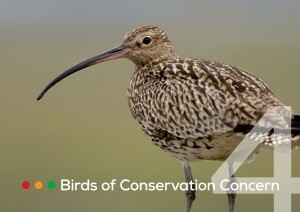 The main assessments of waterbirds are Birds of Conservation Concern (BoCC), which provides assessments of conservation status, and the Avian Population Estimates Panel (APEP), which periodically estimates the population size of all UK birds. 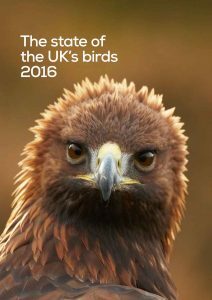 Annual updates are provided in State of the UK’s Birds, though these do not alter BoCC and APEP assessments until the next full review.